Welcome to RWJ Kawasaki Sales & Warehouse!! 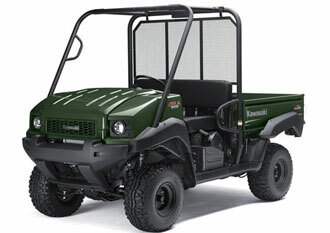 We specialize in selling and servicing the Kawasaki Mule. Houston has relied on us for 25 years to provide outstanding products and services from our Baytown dealership. We service all of Houston, Beaumont and the Gulf Coast area. We offer accessories, parts, tops, windsheilds, and first class service on new & used Kawasaki Mules. We are located at 15111 Lakeview Drive in Baytown, Texas. Just off 2354, 5 miles South of I-10 exit 800. Click here for a map and directions. 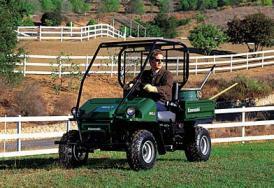 RWJ Kawasaki specializes in the Kawasaki side by side line of utility vehicles. We are a warehouse dealer, which means we don't have to pass the expense of a high-overhead showroom on to our customers. We provide the service and accessories for many companies in the Houston area. Our warehouse is conveniently located in the RWJ Airpark. Click here for an interactive map. 2016 Kawasaki Motors Corp., U.S.A. Always wear protective gear appropriate for the use of the vehicle. See the owner's manual for more information. Never operate motor vehicles under the influence of drugs and alcohol. Protect the environment. Obey laws and regulations that control the use of your vehicle. The Kawasaki MULE is an off-highway vehicle only, and is not designed equipped or manufactured for use on public streets, roads or highways. Specifications subject to change without notice. Availability may be limited.